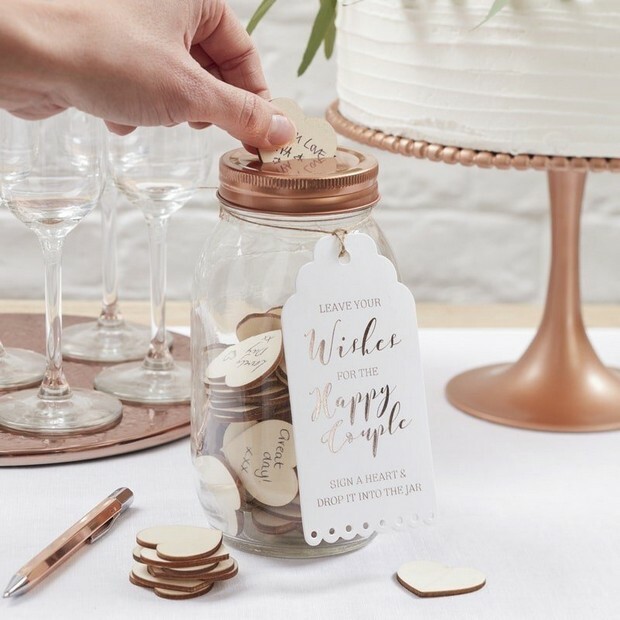 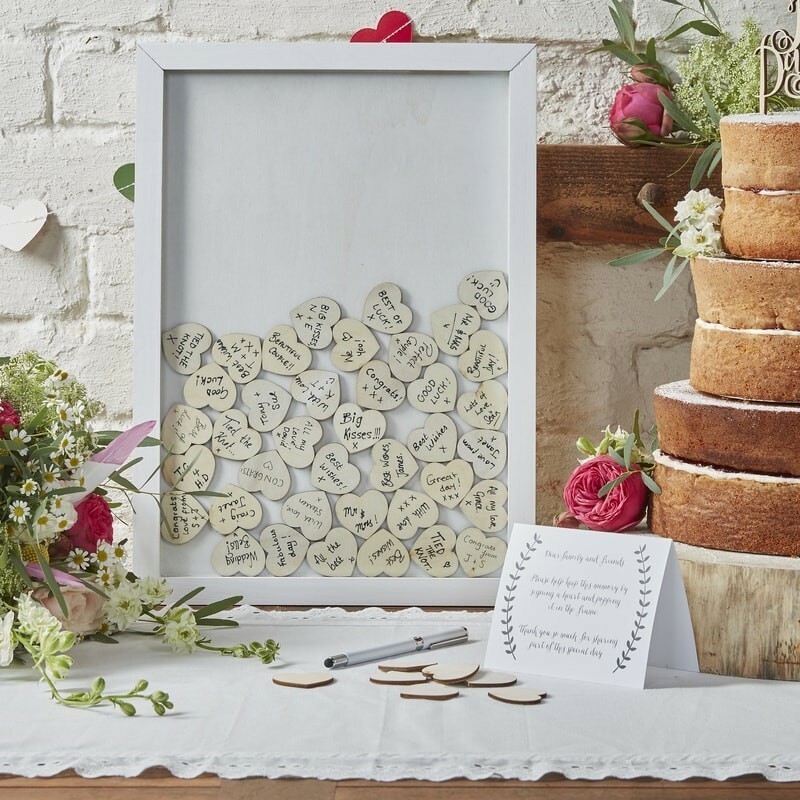 We’re all about wedding keepsakes, little things you can look back on once the Big Day has been and gone as a reminder of an amazing day. 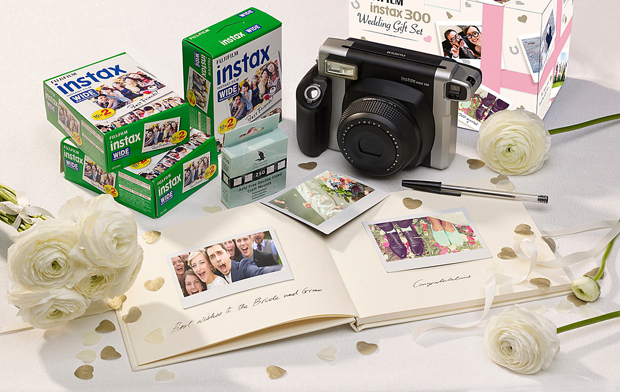 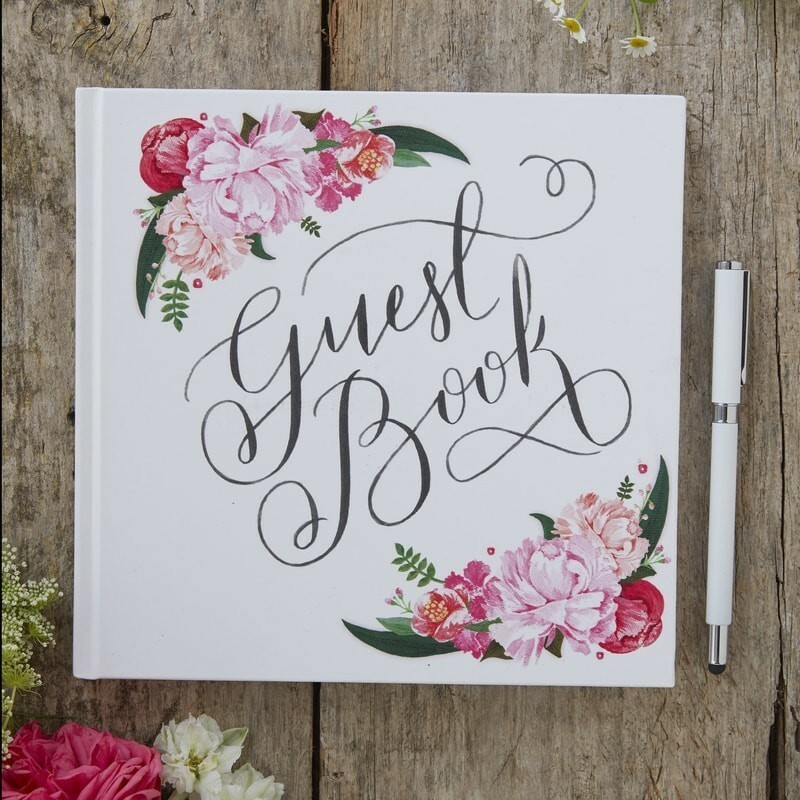 The guest book is one such keepsake you’ll love looking back on! 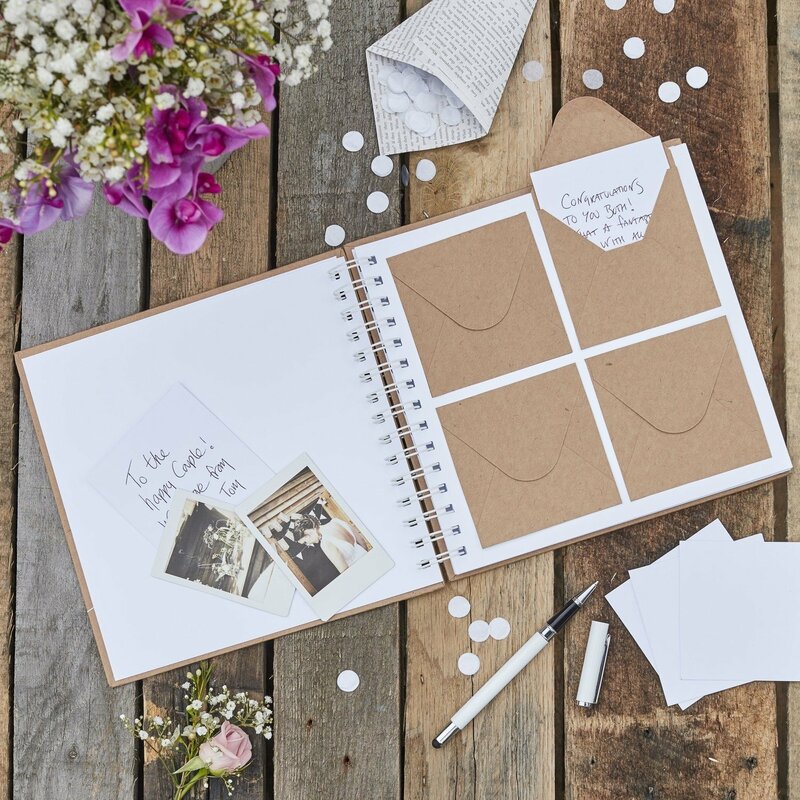 Not only is a guest book a great way to get guests involved, but it’s a lovely way to get some sweet sentiments, funny notes or even tips from all your weddings guests and serves as a sweet reminder of who attended your special day. 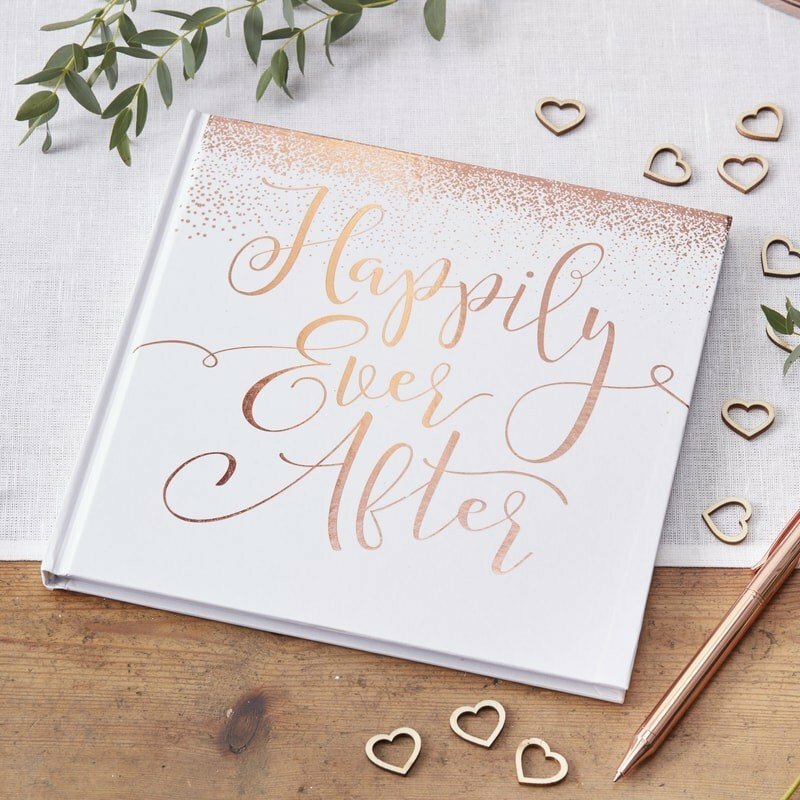 Wedding guest books have come a long way since the more traditional book style design – while you can still pick up some stylish book format guest books with everything from gold foil and flowers gracing the cover sleeve, couples after something a little bit different have lots of great options too. 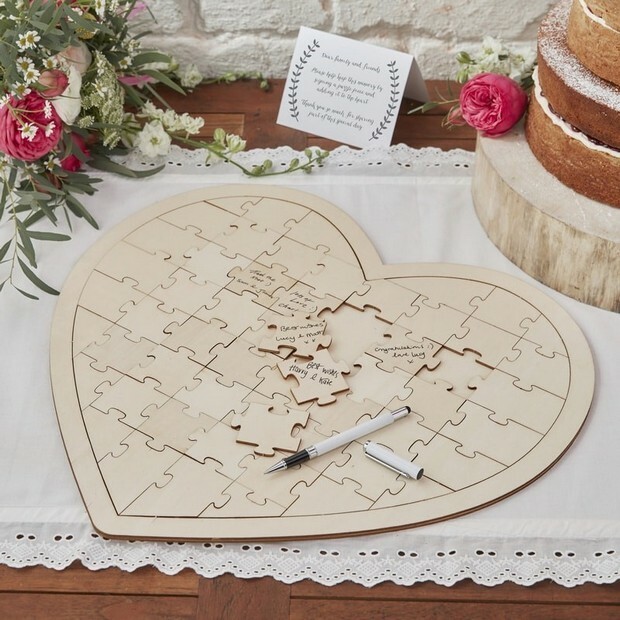 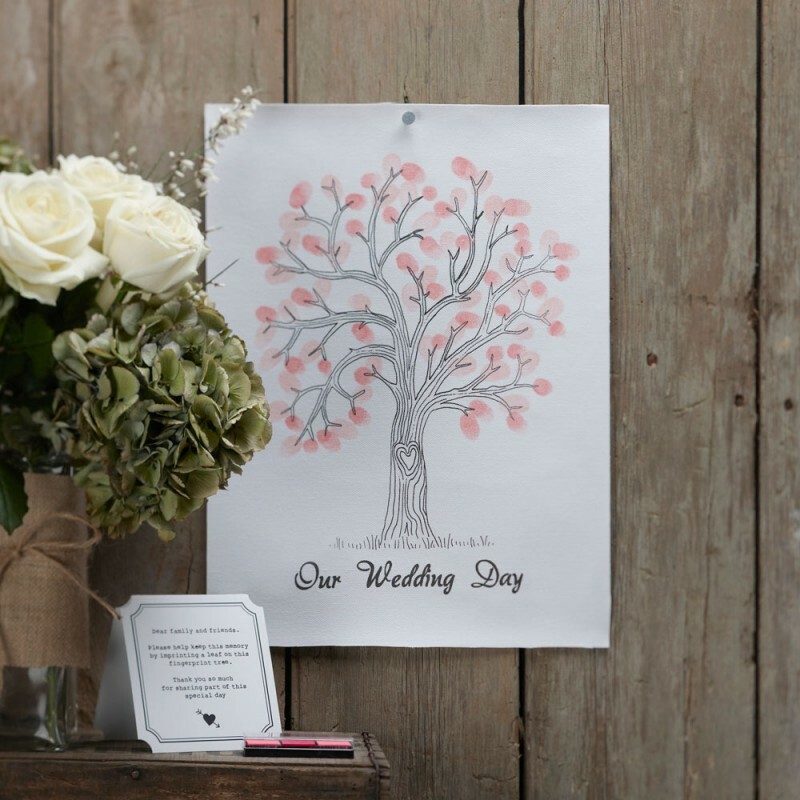 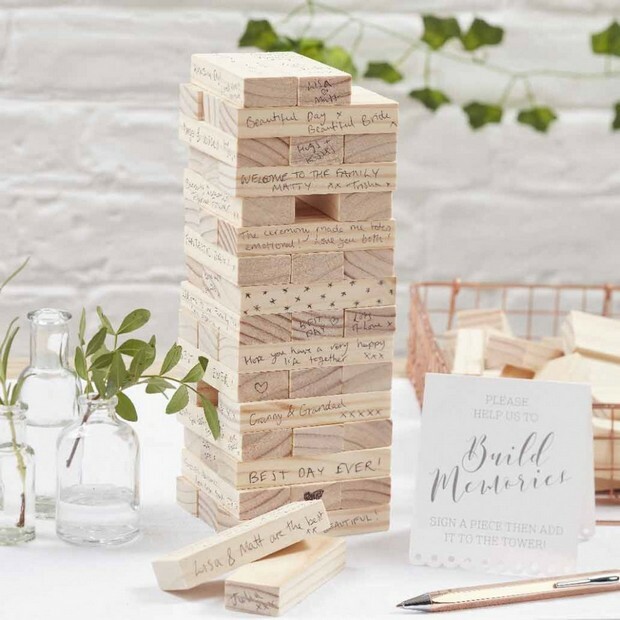 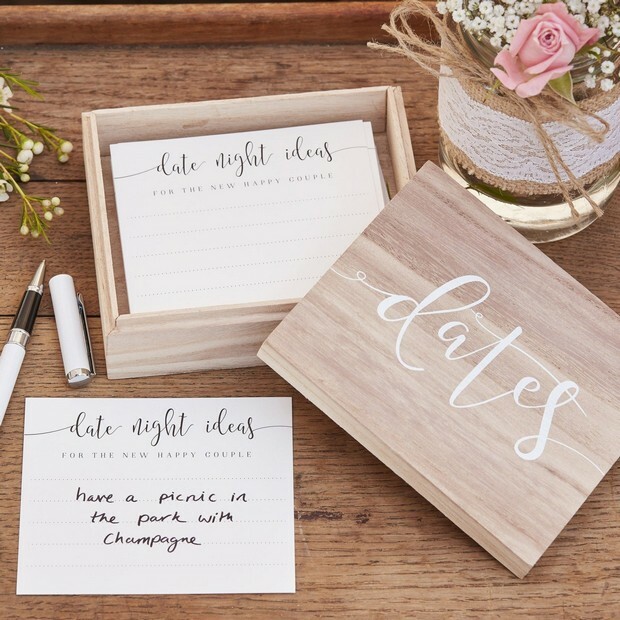 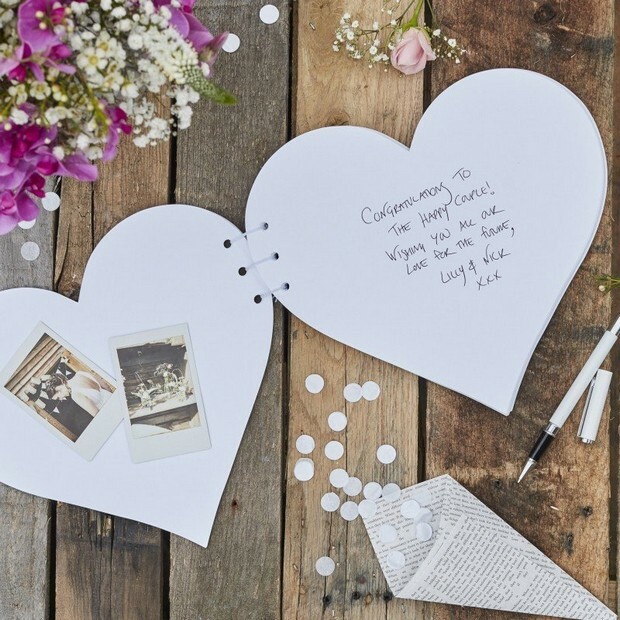 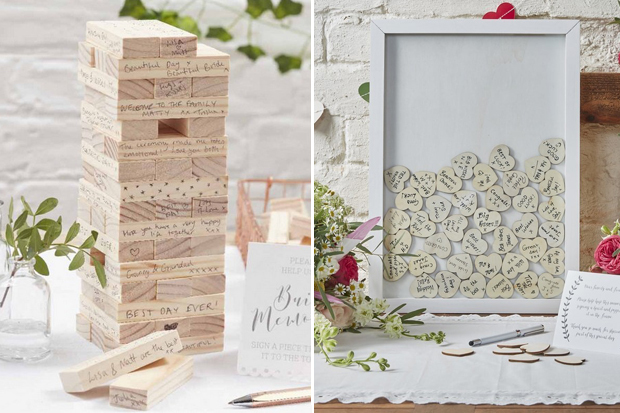 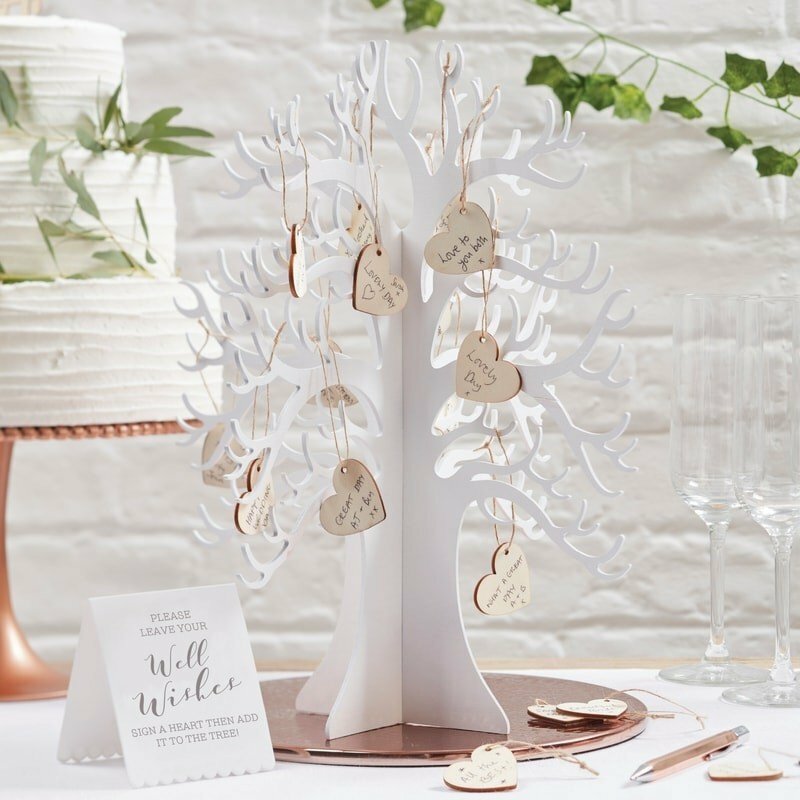 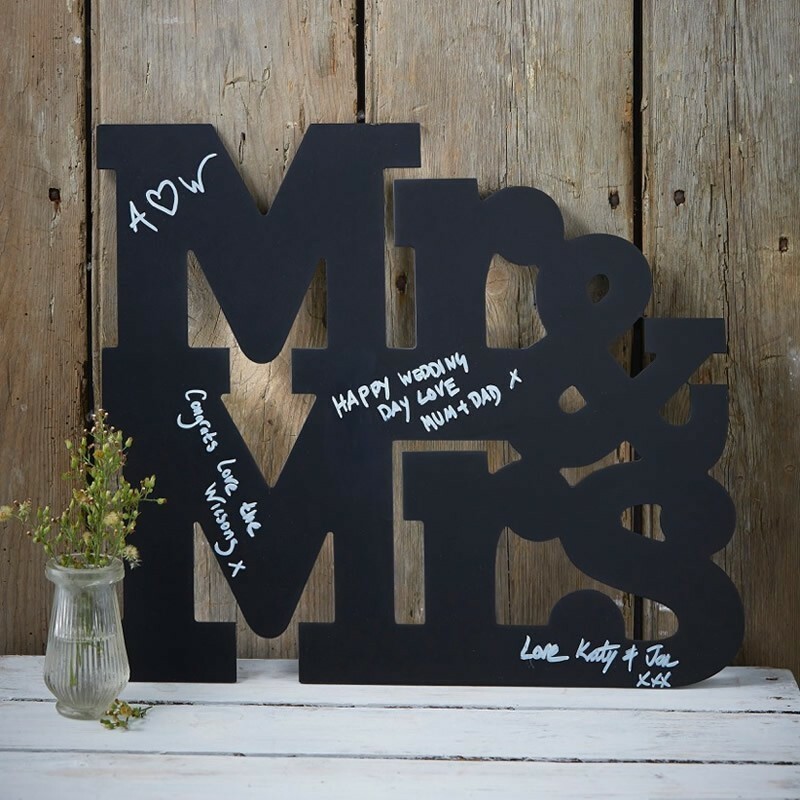 From Jenga towers that guests can sign to finger print trees where guests can leave their mark and jigsaws you can frame and pop on your wall at home afterwards, there are some brilliant options on the guest book front in shops at the mo. 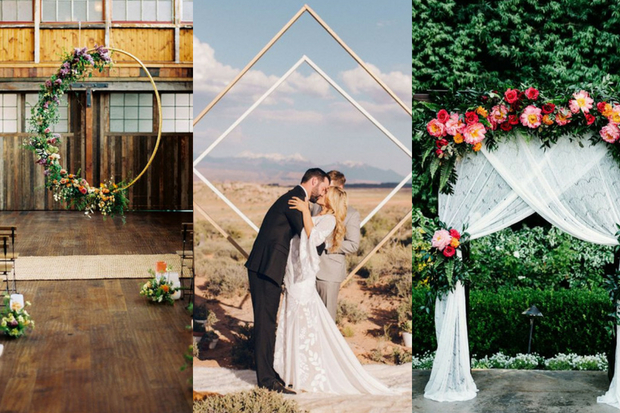 Check out 13 great finds that you can pick up online right now!